Harry Kreisler is Executive Director of the Institute of International Studies at the University of California at Berkeley. In that role, he shapes, administers, and implements interdisciplinary academic and public affairs programs that analyze global issues. He is also creator, executive producer and host of Conversations with History, an interview program, broadcast nationally every Friday evening on Echostar Satellite's DISH Network, channel 9412, and on YouTube. Conversations with History is also a critically acclaimed online archive containing more than 485 one-hour interviews with distinguished men and women from all over the world who talk about their lives and their work. See the interview with Harry Kreisler by filmmaker Ken Jacobs: "The Story behind Conversations with History" on YouTube. Mr. Kreisler taught a unique course from 2002-2007 offered on the Berkeley campus focused on “Issues in Foreign Policy after 9/11.” The lectures were broadcast on the internet. Guest lectures included distinguished scholars, journalists, and policymakers from all over the world. Mr. Kreisler currently teaches a course on International Challenges Facing US Foreign Policy at the Osher Lifelong Learning Institute. 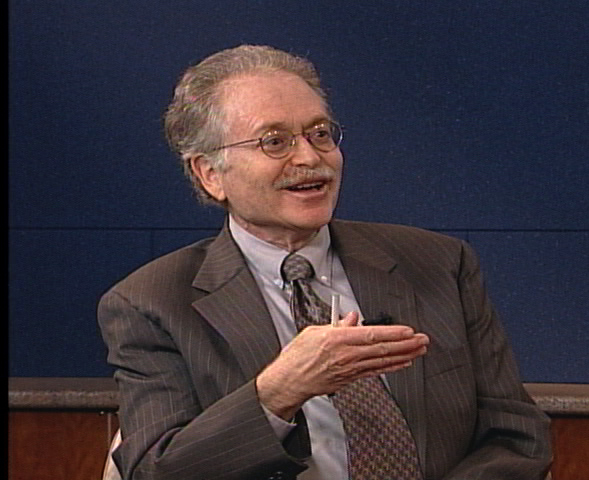 From 1996-2004, Harry Kreisler was also Executive Producer of Connecting Students to the World, a World Wide Web -based program that introduced students and retirees to leading figures in international affairs through online curricula, preparatory workshops, and Internet conversations. From 1995 to June, 2006, Mr. Kreisler was Editor-in-Chief and Executive Producer of Globetrotter, a website for global affairs The site won accolades from Netscape, Lycos, USAToday, MSNBC, Yahoo, The New York Times, the National Endowment for the Humanities, Lancet, the British Journal of Medicine and The California Monthly. The Globetrotter website is used widely by educators, the media, and the general public.